Big Cracks In The Ice Of Lake Baikal At The Shaman Rock On Olkhon Island. Spherical 360 Degree Vr Panorama. Фотография, картинки, изображения и сток-фотография без роялти. Image 106971093. 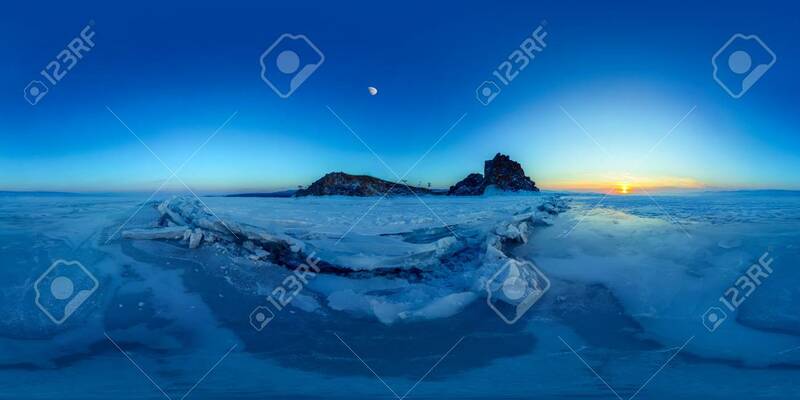 Фото со стока - Big cracks in the ice of Lake Baikal at the Shaman Rock on Olkhon Island. Spherical 360 degree vr panorama. Big cracks in the ice of Lake Baikal at the Shaman Rock on Olkhon Island. Spherical 360 degree vr panorama.